Rejuvenate, heal and nourish your hair with Hibiscus extracts. They restore your hairs natural barrier stimulating growth and leaving it dandruff-free and silky smooth. 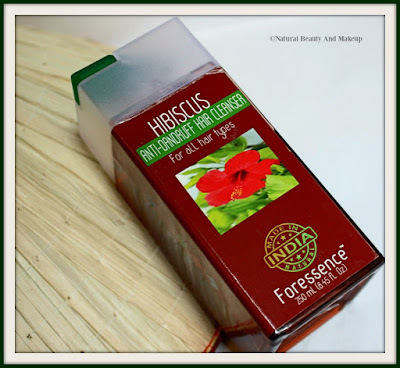 Furthermore, it prevents split ends forming, strengthens roots and acts as an anti-dandruff agent. Apply a small amount and gently massage into the hair and scalp area and rinse. The Nature’s Co Hibiscus Anti Dandruff Hair Cleanser comes in a long square shaped, transparent plastic bottle with a firm flip top cap (TNC standard Packaging Model). The packaging is bulky but travel-friendly. 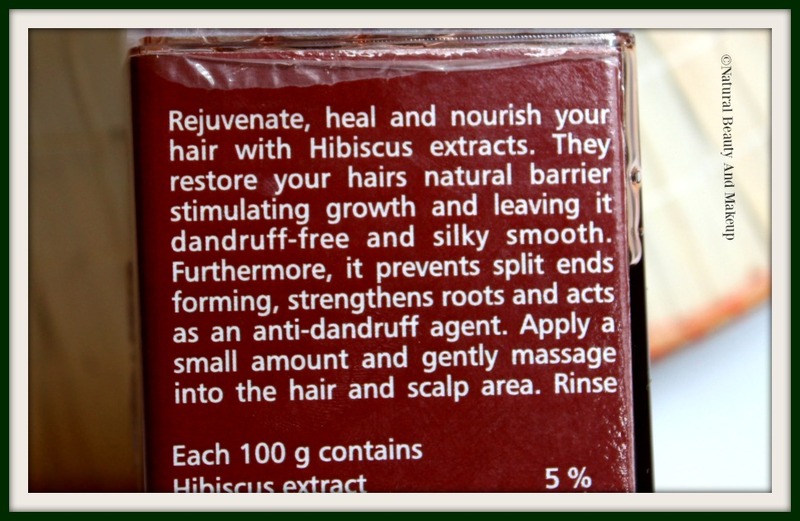 Necessary details about the product are printed on the back of the packaging. All TNC product containers are recyclable and the brand is against animal testing. 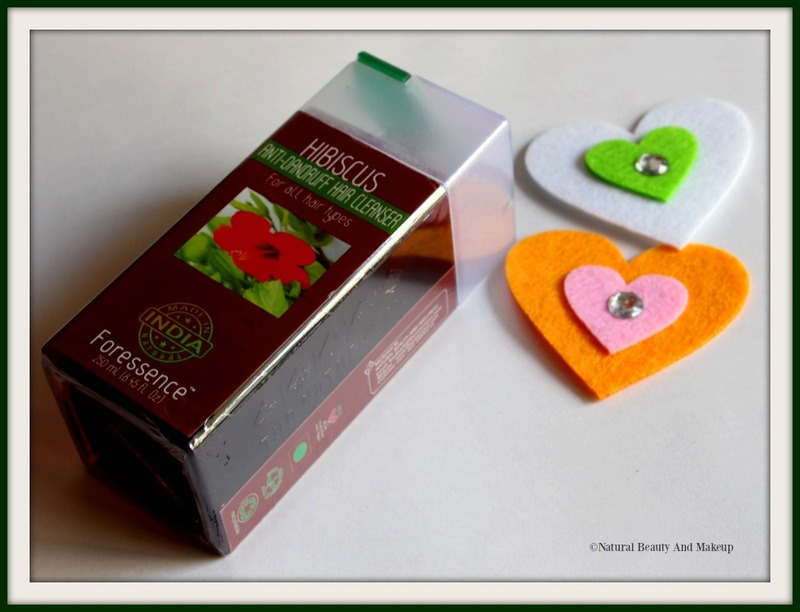 Hibiscus Anti-dandruff Hair Cleanser belongs to Foressence range of The Nature's Co. 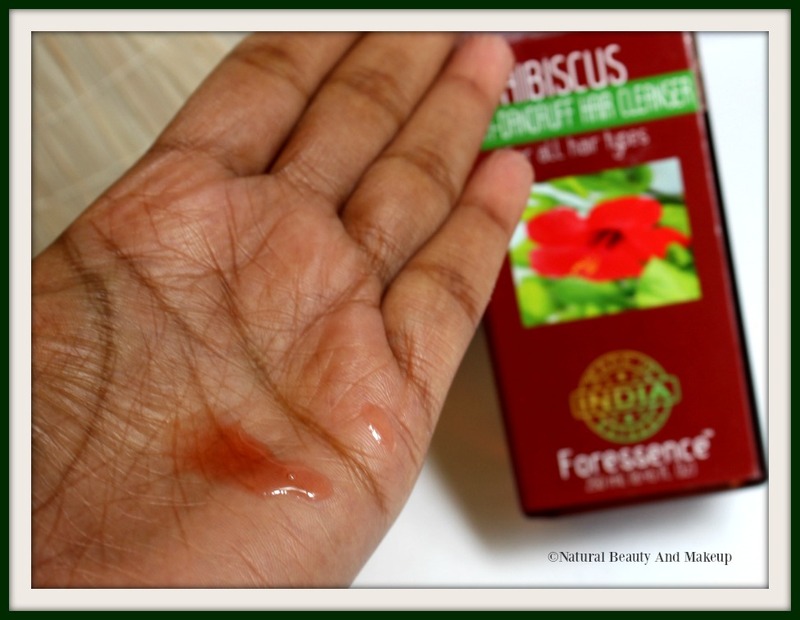 The colour of this hair cleanser is pale red (resembling Hibiscus flower) and has runny consistency with a smooth gel texture. It has a pleasant floral fragrance that stays for few hours post each hair wash.
Usually, I dilute all shampoos with a little water to cleanse my hair. So for my mid-length hair, I would take a small amount of this cleanser to wash my mane twice a week followed by TNC Nori hair conditioner. I also like to mix different essential oils (lavender/rosemary/tea tree) with my regular shampoos to obtain more benefits but not often! PS: All TNC shampoos and conditioners last for around 6 months and above if you use it twice a week like me. 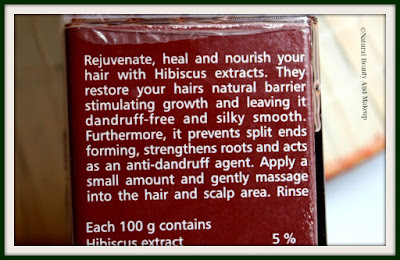 The Nature’s Co Hibiscus Anti Dandruff shampoo claims to rejuvenate, nourish and heal our hair leaving it dandruff-free and silky-smooth. In my case, after each use, it gave me a clean scalp with pleasantly scented refreshing hair. It is mentioned that it is meant for all hair types; however, this couldn’t nourish my tresses when used alone (without using any hair conditioner)!! A few months back, my scalp got hit by dandruff and since then I’ve been struggling with it. 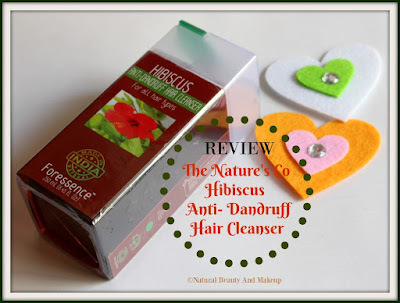 Although this hibiscus shampoo provided me with immediate dandruff–free scalp but the result was temporary; I got dandruff again as soon as I stopped using it. No scalp irritation or itchiness, whatsoever. It couldn’t help control my hair fall, didn’t increase it either though 😊 It lathers pretty well and kept my scalp oil-free for maximum 2 days from the shampooing-day, on the third day I had to wash my hair again. So it’s best for whom?? I believe, normal to oily hair types will find this product amazing for them 😍 It doesn’t work that great on dry & damaged hair! A little amount is all you need unless hair is oiled! To combat dandruff, you cannot skip this cleanser else dandruff will hit again! Not for all hair types especially dry! 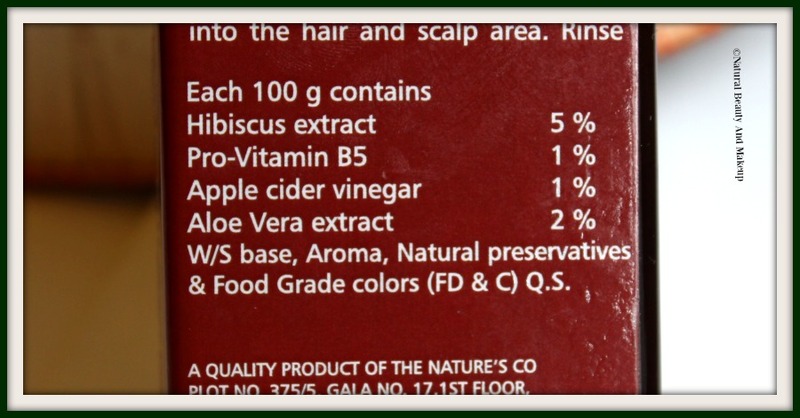 We all are well aware of the fact that anti-dandruff shampoos are generally a bit harsh in nature but I had huge expectation from this shampoo which is infused with all the natural goodness of hibiscus, aloe vera, pro vitamin B5 and apple cider vinegar 😐 It is true to its claim of leaving scalp dandruff-free, however, as I said, this doesn’t cure it completely!! I loved how this would add volume to my limp tresses and gave refreshing hair after every hair wash. A conditioner is a must if you have combination to dry and damaged hair to make it look healthy, shiny and smooth. 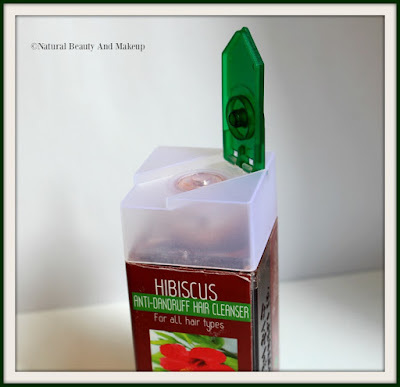 If you have oily to normal hair with mild dandruff issues then go for this hair cleanser without a doubt! 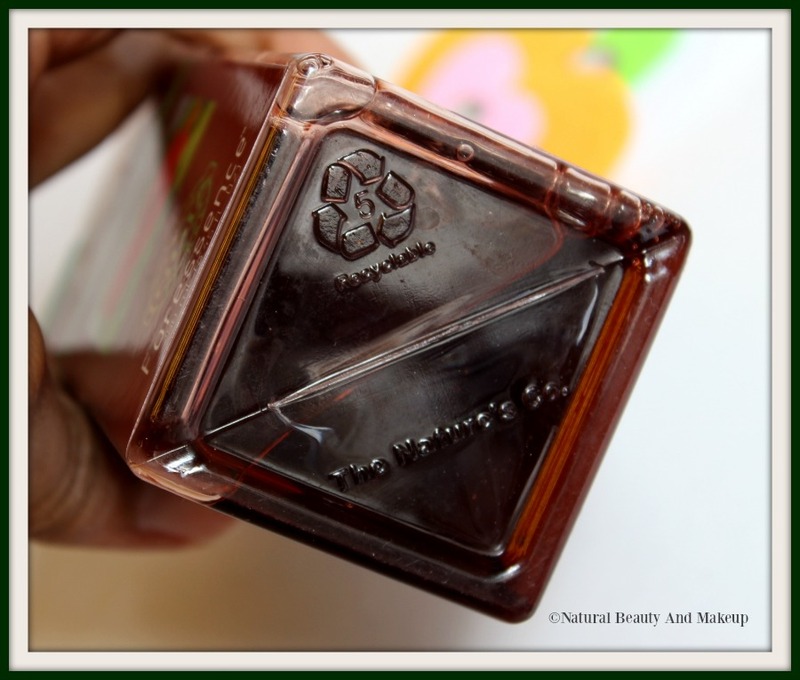 I had finished this bottle long back and since then I’ve been using TNC Watercress Shampoo, not anti-dandruff one! Soon I’ll review this as liking it way too much 😊 I may not repurchase this shampoo rather would love to try other TNC hair cleansers next! Have You Ever Tried The Nature’s Co Hibiscus Anti-Dandruff Hair Cleanser? If Yes, Then Share Your Experience With Me In the Comment Section Below. Thankfully, I dont have dandruff problem but yes I can get this for hubby! I have used this brand before also and found its products quite effective. You gave it heart and soul into the post. So well described . No doubt b in my head after reading it. 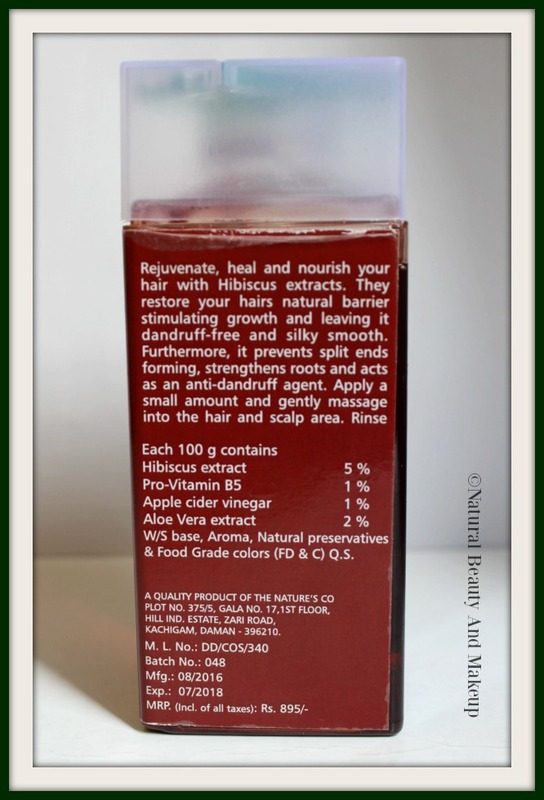 While I am hailing its natural goodness, I have to say no because of my dry and flying away always hair. Thanks Aditi :) I love TNC brand but somehow it didn't suit my hair type and cure dandruff!! Sounds really good! I hope I can get hold of this product. Looks like this is not for me, I have dry hair. But as a brand, I like them as they are chemical free. I've never seen a shampoo bottle like that before. It sounds pretty nice too. I hear a lot of people use products with apple cider vinegar for their hair and have had good results. I've never tried it personally though. My pleasure dear :) Thanks for stopping by! Same 8s happening with me...Due to base shifting and travelling a lot my hair condition is bad right now and so is dandruff :( I was really hopeful about this..I guess tea tree oil therapy would be best bet..
taking out dreads wow, awesome blog.Thanks Again. Really Great.